Toxic friendships can have psychological drawbacks. Elements of the popular film “Mean Girls” might not be so made-up after all as the exclusion and torment acted by the characters in the movie can be far too real for some teens experiencing similar struggles in reality. The student said she was in a toxic friendship, characterized by negligence and exclusion, unreliability, defiance of trust and poor emotional support and leaving the victim feeling belittled by their friend. Exclusion either in school or outside of school is a common indication of a toxic friendship, in which the perpetrator seeks out the victim’s company in one setting, but ignores them in another without a proper reason. Unhealthy friendships can also cause a depletion of energy that may affect a person’s academic standing, emotional state and other relationships. Toxic friendship mistreatment can vary from exclusion, ignoring and subtle yet hurtful remarks, to even verbal abuse depending on how high the victim’s tolerance for maltreatment is. Individuals with a fragile self esteem are especially susceptible to immersing themselves in and maintaining a toxic friendship as opposed to individuals with high self respect, even if the friend is exclusive and avoids interaction, according to psychologist Erin Graham. 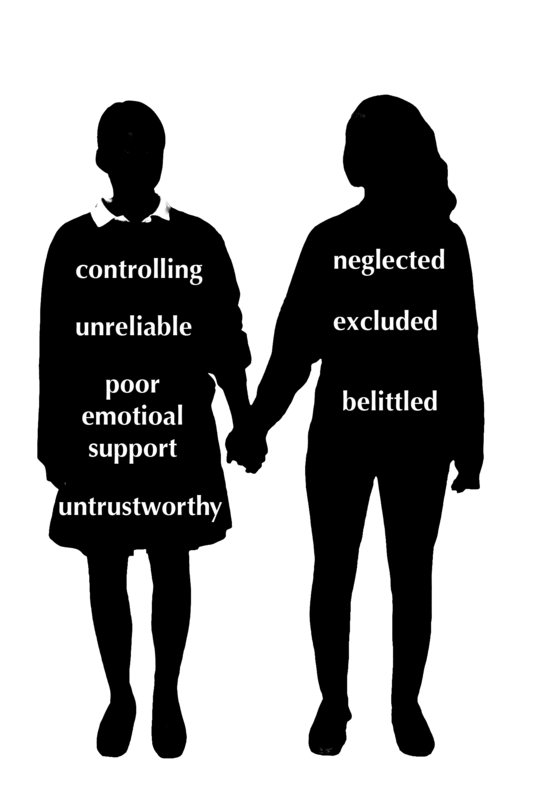 While humans are psychologically wired to desire companionship, exclusion from one friend or multiple people can be particularly painful for the individual being excluded. Even if a friend is exclusive, cruel and selfish, the victim may prefer to remain in the friendship to maintain their social atmosphere, according to Graham. Although young children experience more toxic relationships during elementary and middle school, teens are often pressured to stay in them, as maintaining social status gains more importance in later years than in childhood. Since young children are not as reliant on friendships, they are affected less if the relationship turns toxic than teens are, according to Egan. In many cases, the person being mistreated does not realize the toxicity of the friendship due to a past pattern of unhealthy relationships that continues on in a cycle, making the individual used to their constant maltreatment and unable to break off the friendship, according to Graham. The tormentor in a toxic friendship often has experienced similar trauma or circumstances, such as their own exclusion or bullying, that they then exude to the friend they are mistreating, and may also lack a fully developed sense of empathy that would prevent them from hurting someone close to them. But just like the concluding scene in “Mean Girls,” all toxic friendships can be defeated to achieve a better ending for the individual. Overcoming an unhealthy friendship is aided by taking steps to understand one’s self worth while removing any toxic friends and replacing them with healthy, positive companions to heal the wounds brought on by the relationship.